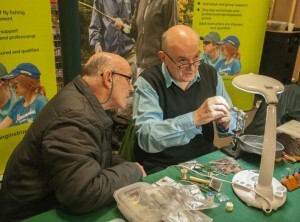 For the last few years I have been lucky enough to get an invite to a fly dressing master class that Paul Little runs in the lead up to the British Fly Fair International. There are normally a dozen or so tiers present from the UK and the USA. The USA sent Marvin Nolte and Stack Scoville, Peter Kealy from N Ireland and Brian Burnett from Scotland. These were just a few names there was circa a dozen or so of us present. 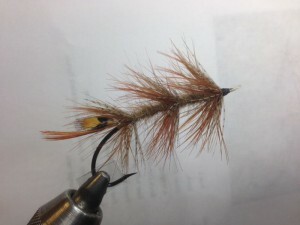 Paul Little was extremely patient and managed to get us to tie three flies over the two days. We did not just tie three flies we talked a lot and discussed and demonstrated various techniques along side the tying. I have always had issues with bronze Mallard wings on Spey flies, not being able to put them on without splitting, so we covered this in some detail, hopefully my Spey flies will be fantastic to look at and fish with in the future. Another interesting technique was to substitute the rachis of a feather with a touch of glue off a glue stick. When tying in feathers such as brown mallard as a wing it is normal to leave the rachis attached so as to support the fibres whilst tying in. The rachis sometimes is on the stiff side and tends to pull on the fibres. Exchanging the rachis for glue off a glue stick left a more flexible support, its possible also to apply some to the butts of a built wing fly. Above are a couple of other flies that we completed. The Ackroyd is a Dee style fly with deltas wings and the grub by its name is meant to represent a shrimp style salmon fly. All the flies in the photos were tied with gut eyes. Following the workshop I then spent a couple of days with my GAIA (Game Angling Instructor Association) pals at the British Fly Fair promoting the Association and tying flies. I am always a bit like a child in a sweetie shop, as a fly dresser there is always so much to see and so many must have items. 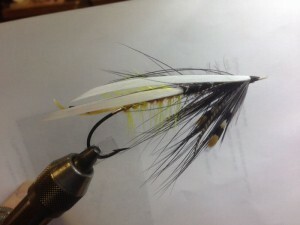 This year I was particularly impressed by a Whiting Spey Hackle cape. It is the perfect heron hackle substitute absolutely stunning feathers that could well have been Heron apart from the fact it was salmon pink. Sadly I could not buy it as it belonged to one of the tiers but I did return on a number of occasions just to look at it, how sad is that. I will never criticise women coveting handbags and shoes again. The GAIA aspect of the show was good with lots of people showing an interest in what we did and how we do it. It made me think about what our priorities where as an organisation, we definitely need to spend more time introducing people into game angling. 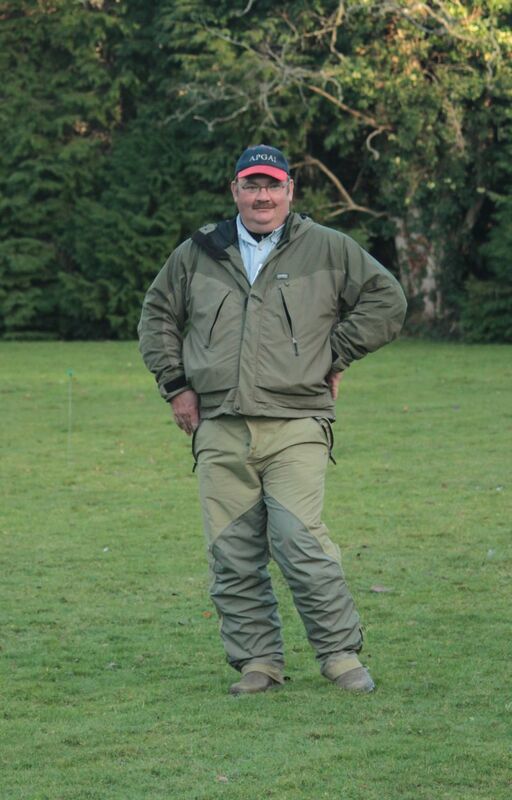 Some say that I might be biased being Chairman of GAIA but I really do believe that we should all take casting lessons if you plan to be a fly fisherman. 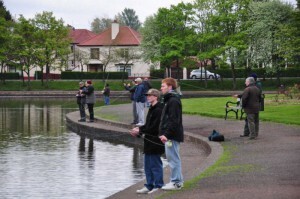 Having done so you then need time to practice, going fishing is not enough you need to go practice. 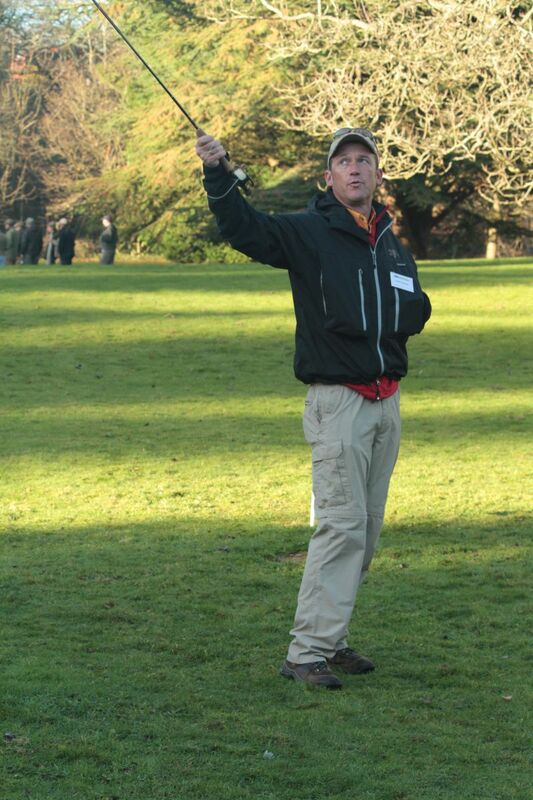 Fly fishing has a technical requirement similar to a golf stroke, if you wish to fly fish you need to cast or you will struggle to get past go. Golfers all take lessons at some stage in their golfing careers and most of them will continue to refresh their strokes or putting techniques. They also practice, golf driving ranges and practice greens get used and professionals video their clients efforts to aid development. Fly fisherman for some strange reason believe that they can go without instruction and development. 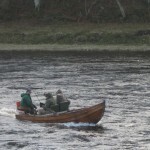 I was out the other day with an experienced fisherman in a boat and was surprised to see that he could not double haul. His fishing would have been more enjoyable if he could improve his casting. It was not about distance but about less effort to attain the same result and after 8 hours in a boat at our age less effort has to be good. I doubt that he has ever had a lesson and yet was happy to spend £500 on a rod. 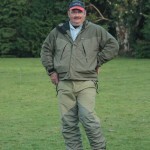 Expensive rods do not improve your casting, I own rods that cost many hundreds of pounds and yet often turn to rods that cost tens of pounds only, my first choice boat rod costs £70 and was won in a competition. Its technique and practice that improve casting and fishing performance. If you fish a river for trout or salmon than casting is even more important to cope with the vagaries of river currents and winds. 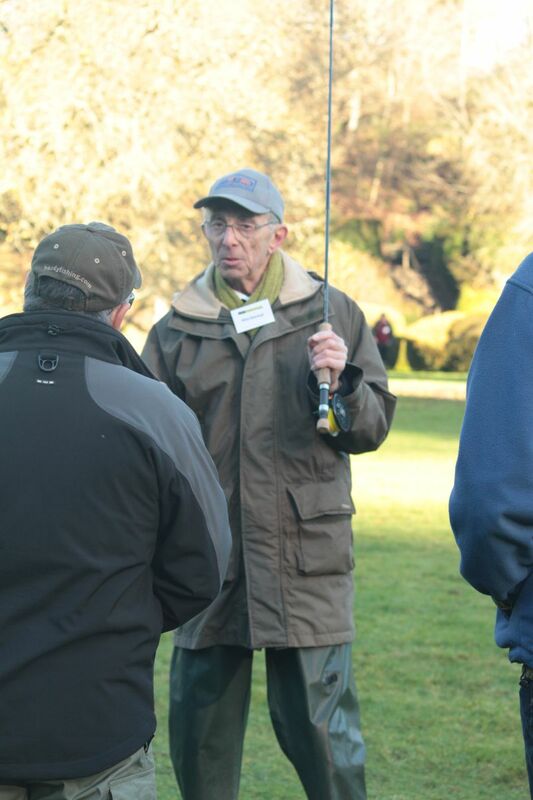 Master caster Gary Borger I think it was who said that having learned to cast well and understand the principles with overhead casts it was then a requirement to learn to develop faults, curve casts, aerial mends, pile casts. These are skills required to fish well especially on running water. 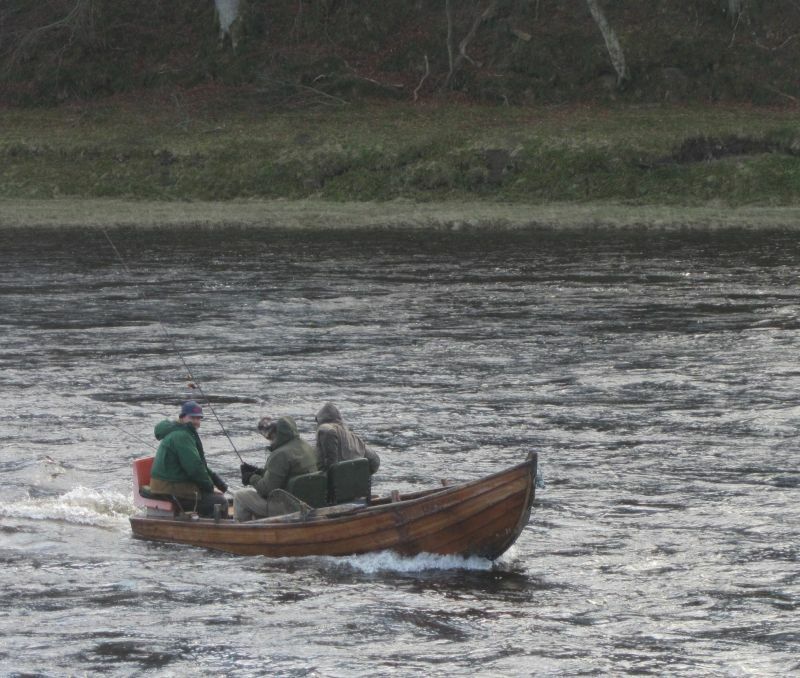 Notice that we have not even mentioned salmon fishing and spey casting. 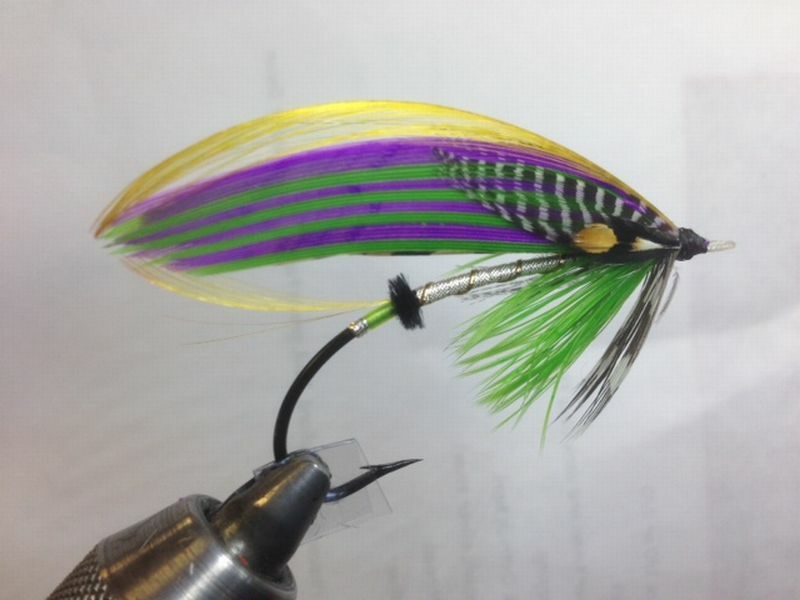 After 40 years fly fishing I still get lessons and get videos of my technique I am constantly looking for improvement, my current project is sorting my left handed spey casting . 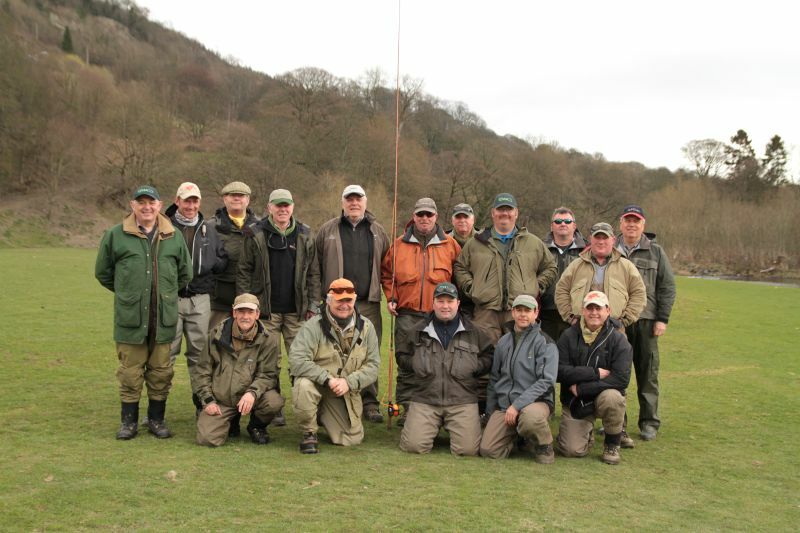 If you doubt the value of lessons go try it get some from a qualified instructor preferably a member of GAIA then go and practice in preparation to fish. 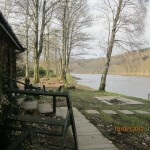 Just been to a GAIA weekend in Llangollen on the banks of the Welsh Dee, great location, great weather and company. We were there to make our casting qualifications much more objective so that assessors were all singing from the same hymn sheet. We achieved all that and more it was a great learning experience. I now know that it has been a long winter and that I need to get practicing with me casting at present I am miles off the mark. still the lads were gentle with me. Four hours driving each way gave me bags of time to think, its amazing what you think about alone in a car, bills that I need to pay, what’s Susie bought for dinner, has she missed me? I did focus on other issues what were the first rods that I bought. Well I can recall my parents taking me into a tackle shop in the Shambles in Worcester and buying me a rod. It was a solid glass coarse rod but it served me well to start with then eventually I got hold of a very smart Millward Float Rover which I still have, possibly 50 years later. Fly rods then caught my eye, Woolworths at the time sold tackle and my first fly rod was a Japanese made split cane rod it did the job and got me going. 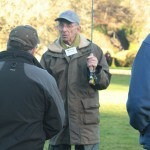 Fly rods then followed thick and fast Sealey Glane fibre glass, Richard Walker Superlite a great rod and fibre glass. 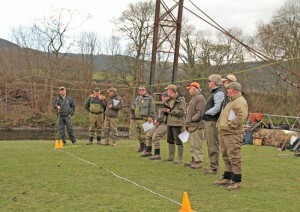 Sea Trout next and Falkus recommended you use a Bruce and Walker New Era. These rods cost pennies by comparison to the rods I have today Orvis Helios, Sage XP and Loomis cost hundreds by comparison. Nice to own but they do not help me catch more fish or indeed cast better! 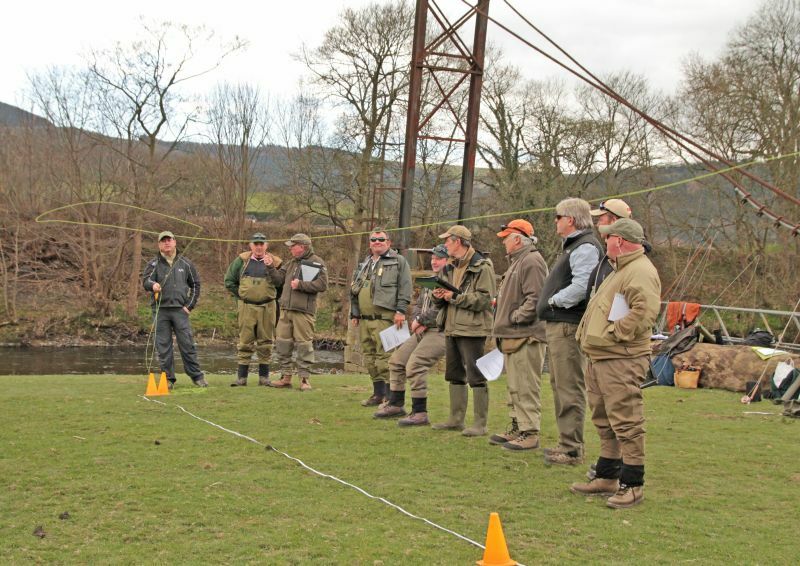 I have been away from my blog for a while busy with the odd day’s salmon fishing, off road driving, fly fair at Stoke, GAIA agm at Caer Beris, and becoming their chairman so where do I start. 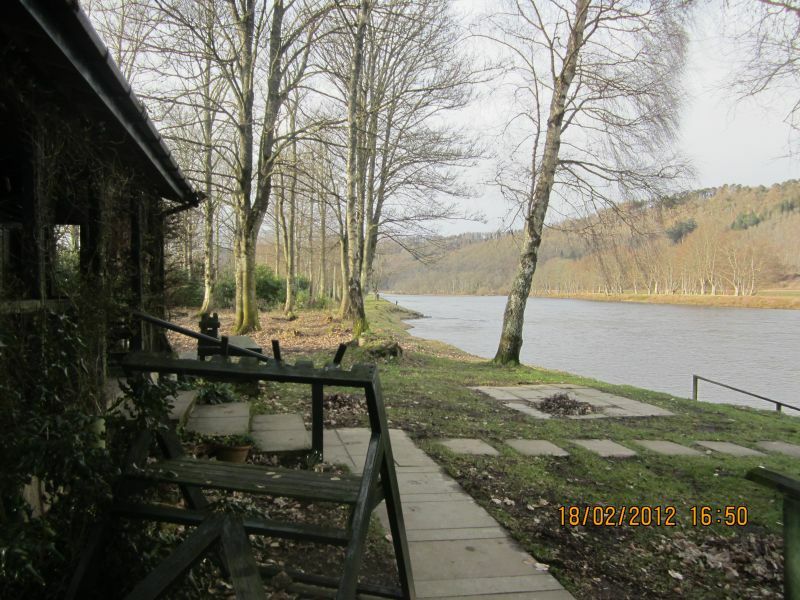 Let’s try salmon fishing my last day of the season was Kinkell Bridge on the river Earn. It had been a while since I was last there and it turned out to be a pleasant day, no fish but a good day nevertheless. 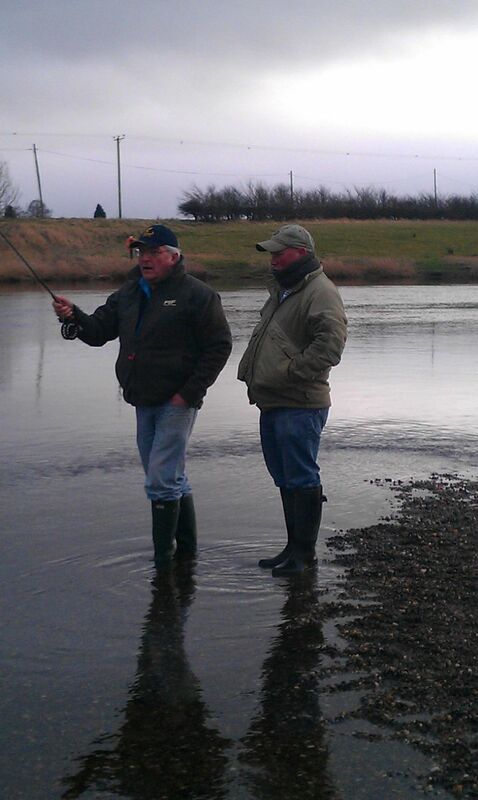 I fished the Murray’s and March pools in the morning and Machny in the afternoon. These are great bits of fly water but sadly no fish were responding to my flies. Saw a few moving but suspect that the water was a bit too high for the fly, at least it gave me to practice some casting left hand up. I was a guest of Douglas Goodwin if Petrus and as always Douglas made a great lunch this time it was Simon Howie pies and claret, well done Douglas! 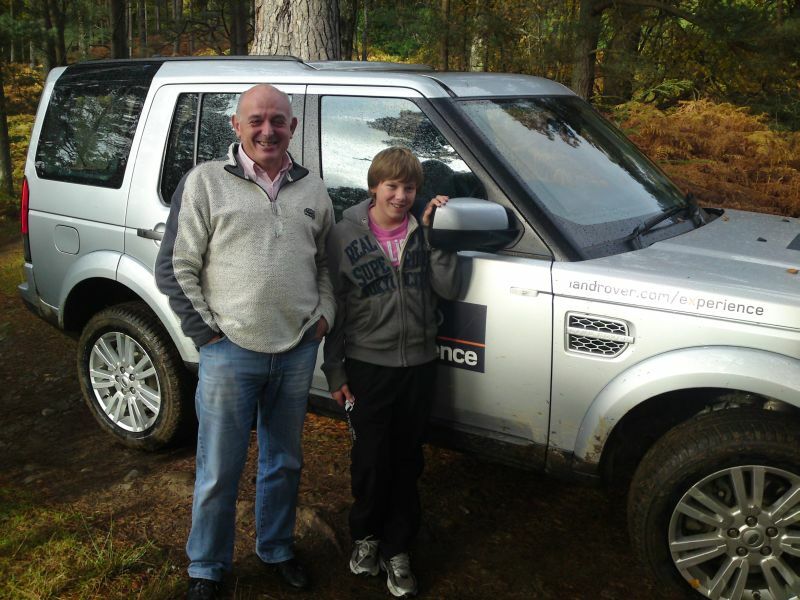 Off road driving, I had never tried it before and as Susie had a new Freelander we got a half day at the Land Rover place in Dunkeld so we all went up, it was half term and Lyle came to. The experience was superb I had never imagined that these cars did what we did. I drove a Discovery with Lyle in the back and Susie stayed at the Dunkeld House Hotel and relaxed. We drove up and down very steep muddy hills, motored on an angle with the car leaning over incredibly, grounded the vehicle on a hillock and drove through water. I loved every minute of it if a little scared at times driving a £50,000 vehicle through some tight gaps in trees on slippery slopes. Now the good news the day was booked for a Freelander when we got there, there was not one available so they gave us another return visit for the Freelander so I am looking forward to that. 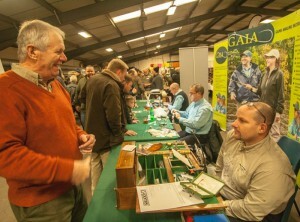 Stoke Fly Fair 2010, it had been a number of years since I had been there and loved it. Caught up with a number of old friends and saw some great demos, Paul Little as always great value and I managed to learn something from him about jay feathers. I bought some materials, a cape from Lakeland flies and bug bond from David Edwards, great value just for the uv torch. How far have I got? 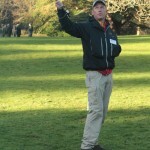 Next is the GAIA assessments, CPD day and AGM, what a busy weekend. I have bagged some more assessments this time in a support role on my journey towards becoming a full blown assessor with GAIA. I still need to have a support role with a few more and it looks like it will take me another year or so to complete my apprenticeship. Mike Heritage of the BFCC going for it! 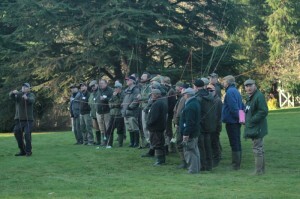 I had a 1-2-1 with Mike Marshall whilst I was there and what an eye opener it turned out to be. What that man can do with distance and loops is amazing it was a delight to have been in his company. 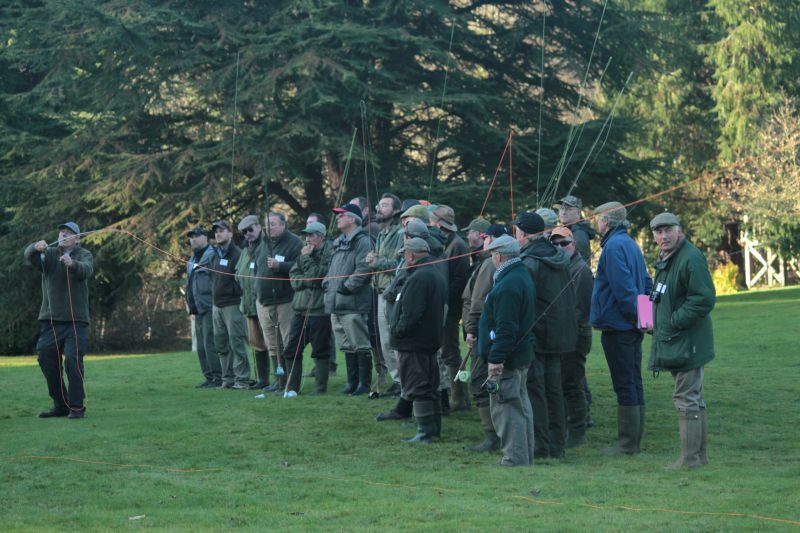 CPD day was great a superb job by Philip Maher on the 5 essentials with a number of other demos including a couple from the BFCC by Mike Marshall and Mike Heritage, what great guys. The BFCC will be in Glasgow on the 11th September 2011 which should be fun. The AGM well what can I say I am GAIA’s new Chairman so let’s see if I can make a difference.